The Syrian boy, whose traumatized face covered in blood and dust flashed across media screens and prompted global outrage, was filmed and exploited purely “for the sake of propaganda,” the boy’s father who now lives in liberated Aleppo told RT’s Ruptly. Omran Daqneesh was rescued from the rubble in the aftermath of a bombing in the rebel-held Qaterji district of Aleppo in August 2016. The controversial Syrian Civil Defense group, better known as the White Helmets soon released harrowing footage of Omran sitting in an ambulance chair. 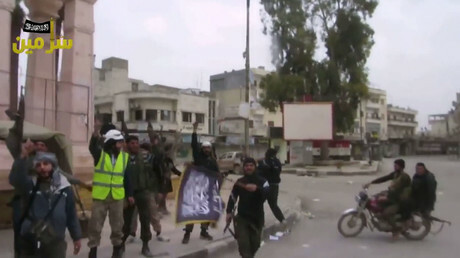 The White Helmets group has a controversial reputation. While they are hailed as hero volunteers by the Western mainstream media, and even have an Academy Award-winning documentary about them, their reputation on the ground in Syria is much more sinister. Witnesses accuse them of collaborating with terrorist groups, filming staged reports about their rescue work, engaging in looting and other misdeeds. Members of the group have been caught on camera several times performing dubious acts, including assisting an apparent execution of a prisoner. The photo quickly spread across the internet, shocking and disturbing social media users. The US State Department during the Obama administration even called the child “the real face” of the Syrian war and the "brutal Damascus regime." Now, almost a year later, RT's video agency Ruptly caught up with Omran and his family in government-controlled Aleppo. “Thank God, now the situation is improving, the army is advancing and liberated the areas, and we came back to our homes, the situation is now getting better,” he said. 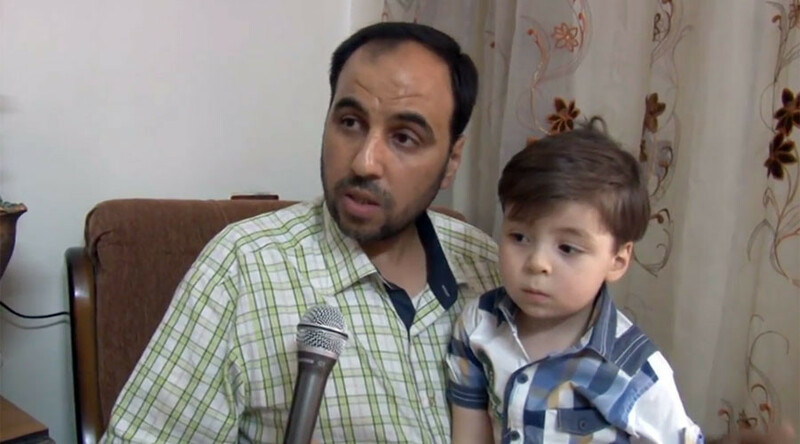 Mohammad lost track of his son as he searched for other family members, and when he finally found Omran, he saw “insurgents” already filming his son. “They took Omran in order to provide him with first aid, but before they attended to him they sat him down to photograph him. Why this photograph? Because this photograph is to exploit him, as if he was targeted, his injury was grave,” Mohammed said, slamming the White Helmets group for exploiting his son for propaganda purposes. Omran received light injuries in the strike, while his brother Ali died in that bombing, succumbing to his wounds in the hospital later in August. Asked why he did not leave eastern Aleppo Omran's father said: "I could have taken the risk but I cannot put my family at risk… That is why we waited until there was a chance to leave." Mohammed Daqneesh says that all he wanted last year and today, is for him and his family to be left alone. 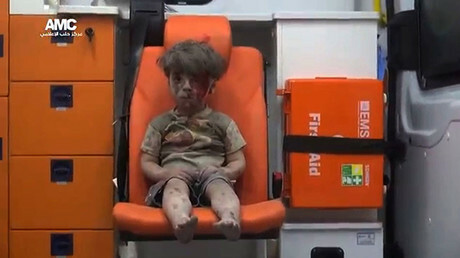 “I didn't ask for anything with regards to Omran. No media, no fame, nothing. They photographed him without my will. I brought him back here, so that no one would exploit him. I shaved his head, I even changed his name, I prevented him to go to the street,” he said, explaining that in addition to the media attention, he has been getting threats.